Every time I see a piece of your beautiful knitting I am reminded that knitting is magic I don't know yet. How clever of you to make a hat out of the gauge swatch, though (really, how clever to make a gauge swatch!). 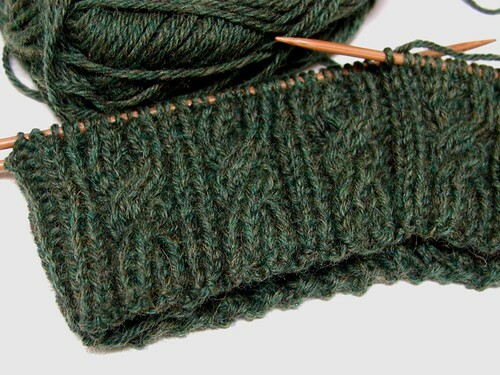 And the yarn looks terrific, a very woodsy green. Knit on! i just adore this! what an awesome color!